The Invictus Games, presented by Jaguar Land Rover, has announced a spectacular line-up, featuring Foo Fighters, who will headline the Jaguar Land Rover Invictus Games Closing Concert to take place on Sunday 14 September 2014 at Queen Elizabeth Olympic Park, London. Tickets went on sale on Friday 1 August priced £49 and are available here. 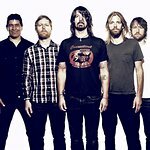 The line-up topped by this special Foo Fighters performance will also feature sets from Kaiser Chiefs, Ellie Goulding, Ryan Adams, The Vamps, Rizzle Kicks, James Blunt, Diversity and Military Wives Choirs. The event will mark the conclusion of the new international sporting event for wounded, injured and sick Servicemen and women. Launched by Prince Harry earlier this year, the event will use the power of sport to inspire recovery, support rehabilitation and generate a wider understanding and respect of those who serve their country. The Invictus Games are being organised with the support and backing of The Royal Foundation of The Duke and Duchess of Cambridge and Prince Harry and the Ministry of Defence. Set on the south lawn of Queen Elizabeth Olympic Park, the 26,000 capacity space will utilise the famous back-drop of the Stadium and The ArcelorMittal Orbit. Featuring some of the world’s greatest acts, the Jaguar Land Rover Invictus Games Closing Concert will also include the medal presentations for the inspirational winning competitors. Starting at 5pm, the five-hour multi-artist event will have highlights broadcast by the BBC. For Lance Corporal Jonathan Le Galloudec, another contender for the British Armed Forces team, the Closing Concert will have a special meaning. During a rescue attempt on tour of duty in Iraq after he was shot in the back, his friend and fellow comrade who was saving him, was killed. The first year after his injury was really difficult for Jonathan and he suffered with survivor guilt. The defining moment came when he heard the song “My Hero” at a Foo Fighters concert in Wembley. The Invictus Games will be hosted at Queen Elizabeth Olympic Park in the London Aquatics Centre, Copper Box Arena, Lee Valley VeloPark & Here East, with Athletics at Lee Valley Athletics Centre. The sports at the Invictus Games are: Archery, Athletics, Wheelchair Basketball, Road Cycling, Powerlifting, Indoor Rowing, Wheelchair Rugby, Swimming & Sitting Volleyball and a Jaguar Land Rover Driving Challenge. Teams have been invited from Afghanistan, Australia, Canada, Denmark, Estonia, France, Germany, Georgia, Iraq, Italy, Netherlands, New Zealand, UK & USA. Tickets for the sporting events at the Invictus games are currently on sale here and cost £12.85 per person. Jaguar Land Rover is the Presenting Partner of the Invictus Games. BT, Fisher House, Ottobock, PwC and YESSS Electrical are Official Supporters. For more information about the Invictus Games, please visit InvictusGames.org.